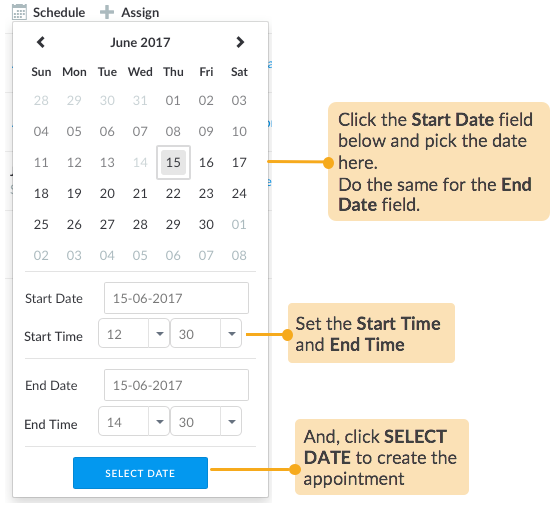 To schedule or cancel appointments for a job, select the job in either List view or Map view. 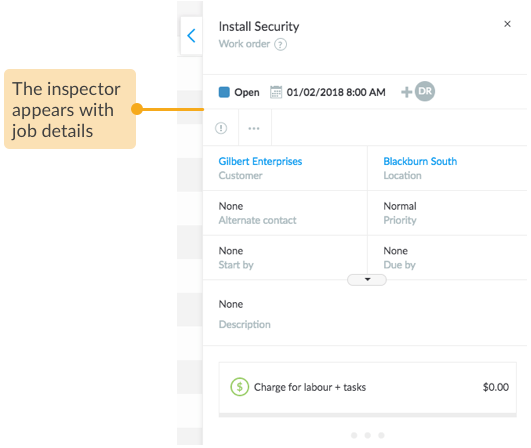 To set an appointment to carry out tasks at the customer location, select the start date-and-time and end date-and-time for the appointment (with a prerequisite that you have already confirmed with your customer and involved workforce about their preferred appointment date-and-time). You can reschedule appointment while the job is in Open or In Progress (i.e. Enroute, On Site or Checked Out) statuses. 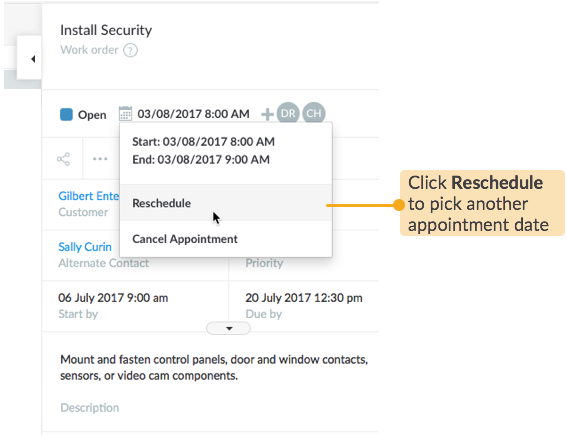 To cancel the appointment, just click the current appointment date and select Cancel Appointment. 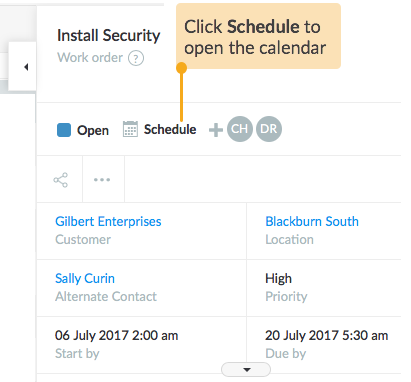 Each time an appointment is scheduled, rescheduled or cancelled, you can set up automatic notifications to update workforce and customers, who will be notified through in-app messages and/or emails. To know more about configuring notifications, please read Configure Notifications.